Easter Bank Holiday is always one of my favourites. Travelling down to see family, enjoying a huge roast dinner on Easter Sunday followed by copious amounts of chocolate, before heading home on Monday to get back to reality. So when it’s been a busy bank holiday, sometimes a takeaway is just what you need. The team at HungryHouse.co.uk have been compiling their list of top takeaways and asked for my help in reviewing one of their best rated in Birmingham. They asked me to order a meal for delivery from Papa’s Pizza in Sutton Coldfield. Naturally as the place is called Papa’s Pizza, that’s exactly what we went for, alongside some garlic bread, southern fried chicken and fries. 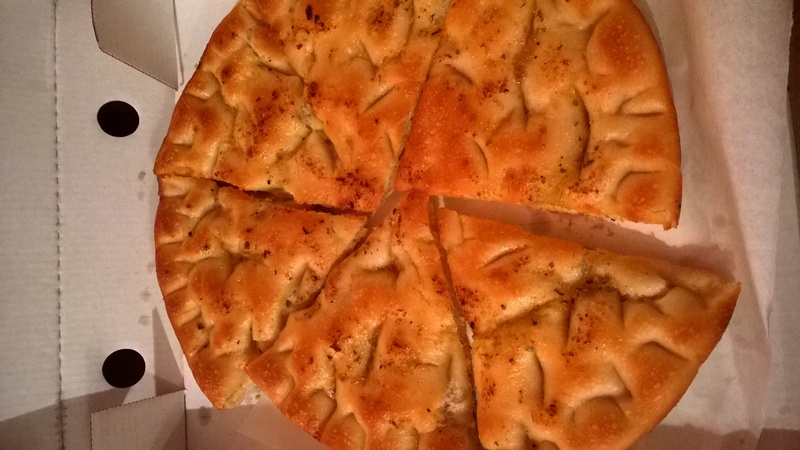 The garlic bread was decent, strong garlic flavour with dried herbs in the dough and cooked fresh in the pizza oven rather than being a baguette spread with garlic butter. 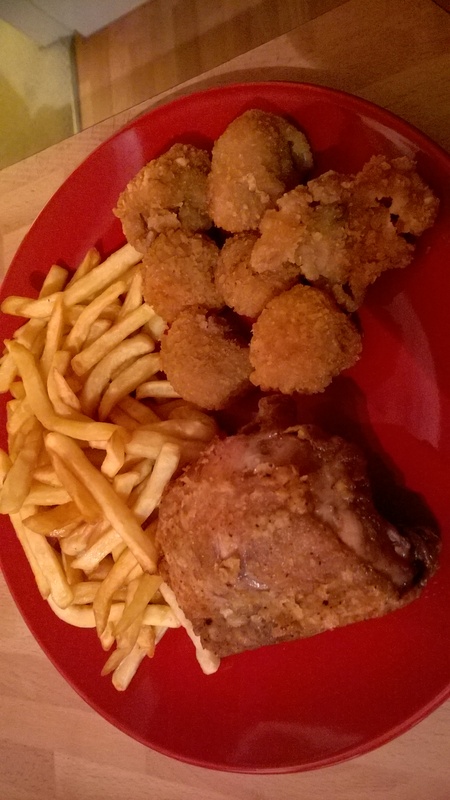 The Southern Fried chicken was disappointing as the coating was quite greasy and the actual meat was dry, but it wasn’t bad. The fries were hot and crispy which was good, but I was starting to wonder why this place had such high ratings until I tried the pizza. 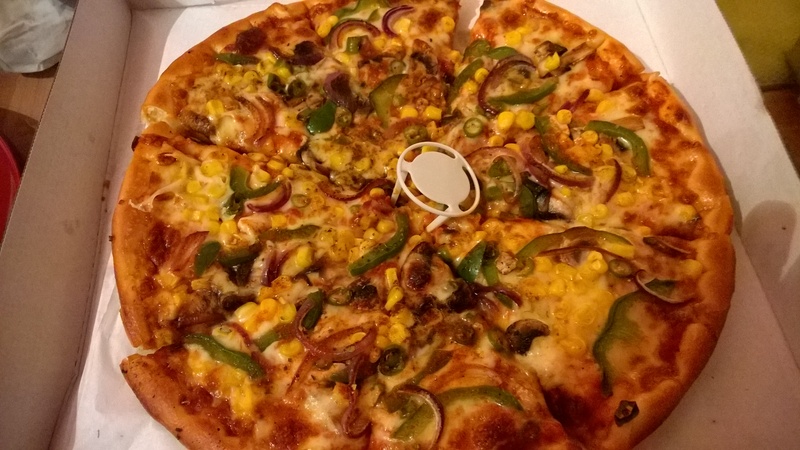 We’d gone for a Papa’s Special which had pepperoni, mushrooms, chicken, ham, onions and green peppers, and a Spicy Vegetarian which had green peppers, onions, mushrooms, sweetcorn and fiery jalapenos with the house special blend of spices. The pizzas were clearly made fresh, with a good thin crust dusted with semolina, generous toppings with not too much cheese and a really tasty tomato base. You could actually taste the difference between the tomato sauce on the Spicy Vegetarian pizza and the Papa’s Special. The spicy tomato sauce on the veggie pizza coupled with the jalapenos make it really hot, but I like spicy food so I enjoyed it. I also thoughts the Papa’s Special was good, although the quality of the ham could have been better. Despite being a local takeaway I think Papa’s Pizza really punches above it’s weight. I would much rather order one of these pizzas than get something from Domino’s which tastes processed and largely like plastic, not to mention the great value for money you get here with 2 large pizzas for just £15. 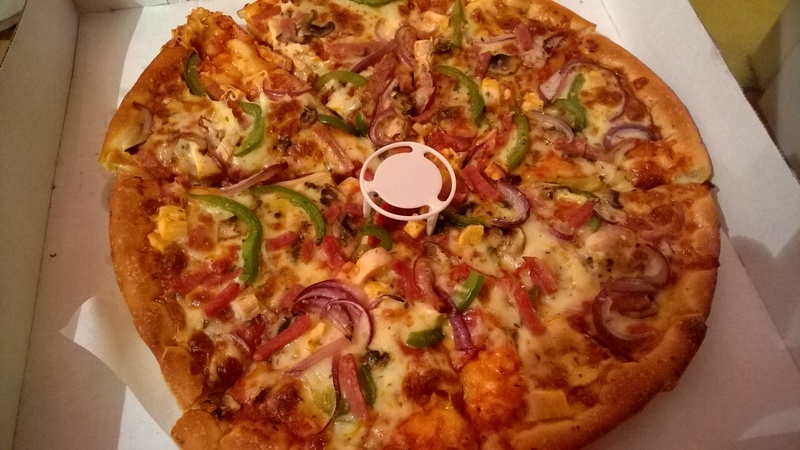 At least with Papa’s, although it’s never going to be the kind of quality you’d get in a restaurant, the range of toppings was good, the sauce was tasty and the pizza was definitely fresh, and that’s really all you want from your takeaway. I’d order again. So if you’re planning on a lazy bank holiday Monday and you don’t fancy cooking, you can see the HungryHouse.co.uk top takeaways in your area here.